Nascar.com writer Raygan Swan has written a great article that details just how popular Dale Earnhardt Jr. is and how that translates into big bucks. Below are a few standout excerpts, with the most astonishing being that he controls 40 percent of the marketplace. For one driver, that's insane! NASCAR may be feeling the pinch from this economic recession, but if you're riding with Junior you're sitting pretty. Earnhardt's face is virtually on every purchasable product in America from candy bars to clothing. Be it a Dale Jr. binky or a Dale Jr. garden accessory, the selection is so vast you could furnish your entire house with his likeness. He controls 40 percent of the marketplace for licensed product sales for NASCAR drivers and sold at least 20 million units last year. Now, Earnhardt is expanding his portfolio into assets he knows will be around long after he retires from racing. Among the first has been Whisky River, Earnhardt's signature nightclub that opened last spring. "It's more successful than I anticipated by three or four times. I had a pretty good idea where I felt like I was going to be but it just quadrupled," Earnhardt said of the club's overnight popularity in Charlotte's uptown. Earnhardt also has real estate interests. Besides owning a company, he also has partnerships in two tracks: one in Paducah, Ky., and another in Mobile County, Ala. The Alabama Motorsports Park is under construction and boasts three racing venues: a road course, a karting track and an oval track that's being branded "A Dale Earnhardt Jr. Speedway." Gates at the 2,400-acre complex are expected to be fully operational by 2011. 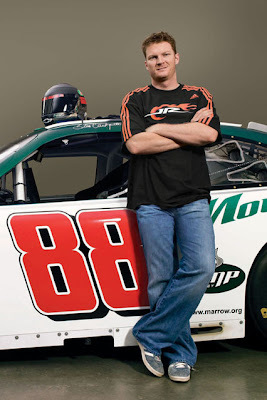 Click here to read the full article, "Passion of Dale Jr. Fosters Sweeping Business Empire."